Kovalevskaia was undeniably a multi-talented person. And she knew it. And the world confirmed her. Before the age of 40, she had won a historic place in mathematics. She was the first woman to receive a doctorate in mathematics, the first woman to obtain a permanent position on a universtiy faculty in mathematics, the first woman with a place on the editorial staff of a mathematical journal, and the first woman to win the most prestigeous mathematical contest of her day, an honor equivalent to the winning of a Nobel Prize. If she had lived just a bit longer, she would have seen some of her work incorporated into a mathematical paper by Poincare dealing with what we now call chaos -- an idea that shook the mathematical world to its very foundations. Her literary accomplishments also had not gone unnoticed. Her novel REMEMBRANCES OF CHILDHOOD won wide acclaim and was translated into many languages during her lifetime. She had other literary endeavors, but none as successful as REMEMBRANCES OF CHILDHOOD. She dabbled in playwriting. She produced a steady stream of both fiction and nonfiction publications for Russian journals. A new English translation of Kovalevskaya's novella NIHILIST GIRL will published in October, 2001. I. BEYOND THE LIMIT by Joan Spicci published by Forge Books, July 2002. Teenage Sofya wanted nothing so much as a chance for an advanced education. The Tsar's oppressive government had other ideas of what was proper for a young woman. Eight years of struggle carried her to her goal at last, through a fictitious marriage, a tempestuous love affair, a brutal civil war, and a victorious return to her homeland. Along the way she encountered the leading figures of her time from Dostoevsky and Darwin to ruthless terrorists. Purchase BEYOND THE LIMIT at Joan's Bookshop. II. THE LETTERS OF S V KOVALEVSKAYA translated by Joan Spicci Saberhagen with Ivana Cerna taken from the text: Vospominaniia i Pis'ma edited by Shtraikh, Akademii Nauk SSSR,1961 edition. This book will be referenced as ViP. Outline for the book The LETTERS OF S V KOVALEVSKAYA --- a non-fictional work in progress. To: FM Dostevskii -- Petersburg -- A Thursday Evening in 1876 Letter #23 in ViP. To: Mittag-Leffler -- Berlin-- 8July1881 Letter #35 in ViP. To: G Folmar -- Paris - Beginning of 1883. Letter#42 in ViP. To: H. Poincaré -- 25 Oct 1884. To: H. Poincaré -- 1 May 1887. III. The MATHEMATICAL WORK of S V KOVALEVSKAYA. IV. 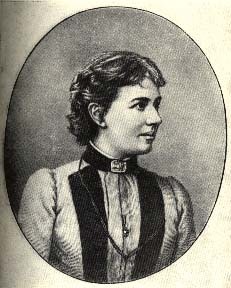 The LITERARY WORK of S V KOVALEVSKAYA. V. Kovalevskaya Bulletin Board -- a listing of projects, books, or whatever relating to SK and/or her times. Hopefully, the page will generate a meeting place for people working on projects relating to SK. If you have a bit of information you'd like to have listed on the board contact joan@joanspicci.com. VII. PICTURES OF S V KOVALEVSKAYA. Sofya's gypsum bust at Mittag-Leffler Institute, Sweden. Sofya postage stamp issued in Russia 1996. Site maintained by Joan Spicci Saberhagen .All pages comprising this site are ©1998, Joan Spicci Saberhagen.